Rhum-Ba is located in Port Denarau with expansive views over Port Denarau. It is a new high-end restaurant, bar, and social club using only the freshest, carefully sourced, and seasonal ingredients. 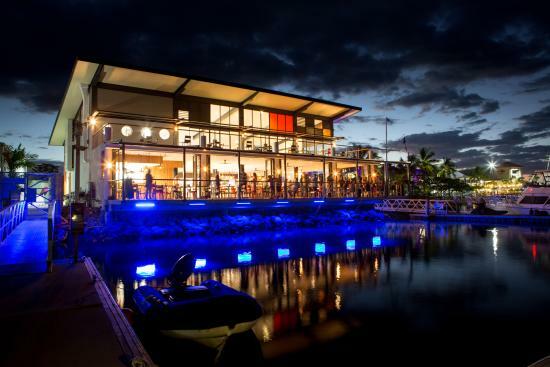 With the growing number of residents, visiting yachts, and visitors to this part of Fiji, the Rhum-Ba has opened and catered to this group since last May 2015. 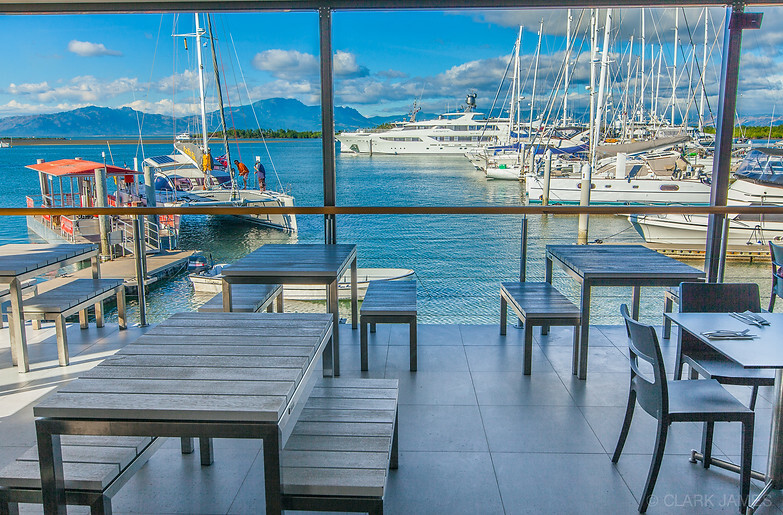 The Denarau area has been waiting for a creation like Rhum-Ba since the beginning of the working marina. So the restaurant is still fairly new to the island and doing very well. Rhum-Ba Executive Chef Henry Selmann is originally from Sydney. He is 29 years old and one of the youngest expat chefs on the island. Chef Henry has high hopes of becoming the best in Fiji. These guys have a selection of rum (rhum) from around the world including Australian, Caribbean, and South American as you may have guessed by the name. Currently, there are 100 rums at Rhum-Ba and they plan to expand it even further over time. Rhum-Ba also has a great selection of wines and cocktails, and is the only bar outside of New Zealand to have Lion Breweries premium beer and Steinlager Pure on tap. In addition, Speights’ Cider is also available on tap. The restaurant serves up some amazing seafood and great cuts of mouth-watering steak. You will also find local favorites like kokoda (Fijian-style marinated fish in coconut milk), Labasa mud crab and even a warm salad of Savusavu bugs, with fennel, citrus and orange vinaigrette dressing! Aside from a great dinner or lunch before heading to a resort off of the main island, Rhum-Ba is located at an ideal location for events right by the water! The location is really beautiful and perfect for weddings, meetings, and conferences. Rhum-Ba is also taking it to the next level with the release of a line of swimwear! Renowned Fiji fashion and fabric artist Sonam Sapra designs the merchandise sold here. Not only can you eat here, but you can shop here as well! Rhum-Ba is located in Port Denarau and is a quick drive from the airport, hotels in Nadi or any of the hotels in Denarau. Rhum-Ba is open seven days a week from 11a.m. –10 p.m., serving a late breakfast, lunch, and dinner. Lunch service is between 11 a.m.– 3 p.m. Dinner service will be from 5:30 p.m. –10 p.m. Customers can get pizzas and bar snacks anytime from 12 p.m. – 10 p.m. which allows customers to eat whenever they arrive into Port Denarau.